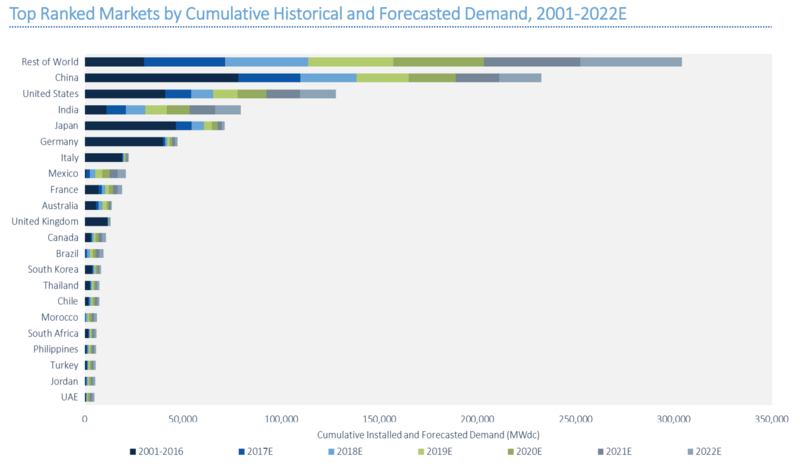 Equally positive as reported by GreenTechMedia is that through Australian solar efforts and globally there is now 306 Gigawatts of cumulative installed solar capacity. Bolstering this sudden rise of installed capacity is China’s continued interest in the renewable energy source with China’s demand alone exceeding 34 GW. With such growth due to one country the report does note the potential pitfalls of such an increase in the market “The concentration and unpredictability of demand at a quarterly level, driven by uncertainty in China, can put the market at risk for module price instability and can require idling for suppliers due to overstocked inventory, imperiling the future bankability of the supply chain”. 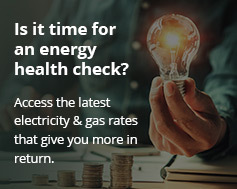 As well as Australia other countries who are expected to have shares in solar energy increase include Mexico and France with the German and U.K markets excepted to slow. The U.S however has smashed records having doubled its energy storage last year. While these established solar power producing countries continue to dominate global power it “is contrasted with a distribution of demand share among emerging markets as tender policies create significant pipelines in markets with little to no historical installations prior to 2016” claims the report. 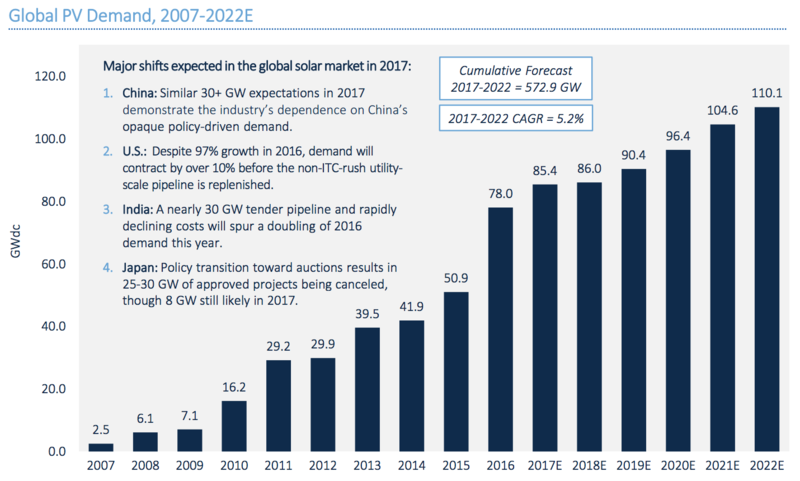 Solar installations globally are only expected to grow by less than 1 percent from 2017 to 2018. Despite this GTM Research expects the market to show considerable growth in 2019 as tendered projects from earlier years are finished, with new competition causing the industry to take off. Increasingly middle-income countries and emerging markets will be the determining factor for incremental growth over the next five years .